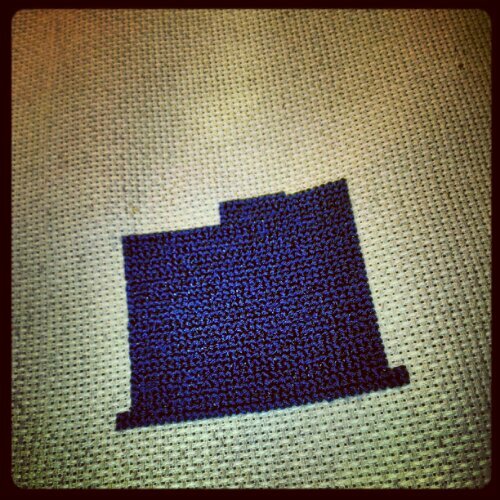 The one thing I love about most of the needle arts I do is that it’s quick to see results. 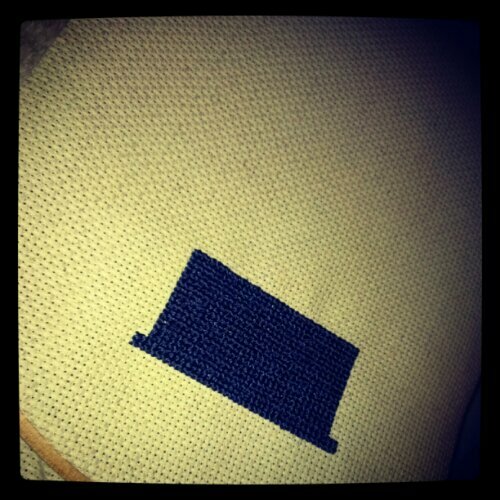 With cross stitch however, I feel as though it takes an eternity. 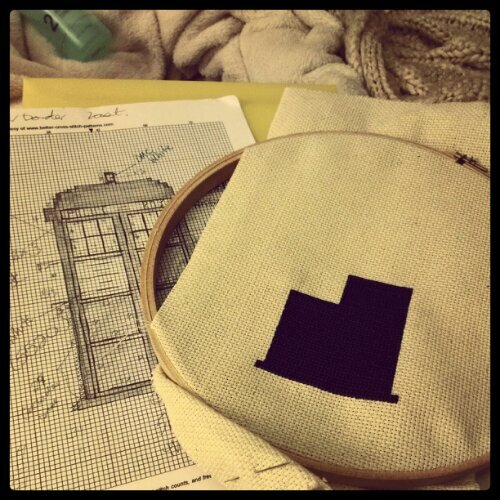 I’ve been working on this Doctor Who Tardis for 3 days and I don’t feel as though I’ve made a dent in it yet. Suffice to say, I carry on… Below are pictures of my (slow) progress. I will be so very happy when I start working on the next, smaller project. I actually don’t think it’s that bad! I can’t take all the credit though. My husband who is an avid Doctor Who fan (me too, mainly the latest, 3 renditions of the Dr), helped me plot out size and ‘fixed’ the roof. Can’t wait to get started on it. …and for those not sure what it is, it’s a Tardis.